Everyone's got their list. 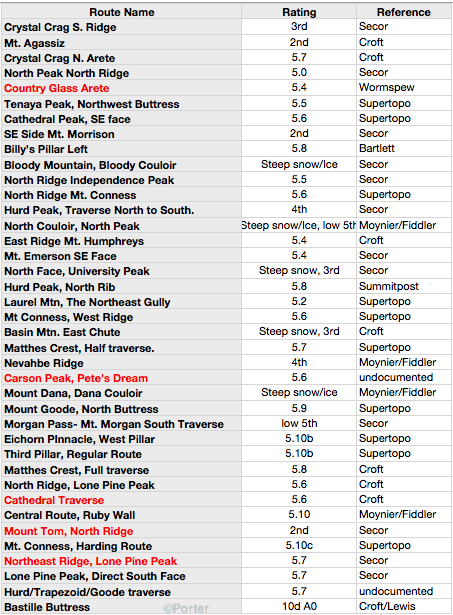 What I'll throw out there is a collection of possible day climbs on The Eastside. This is certainly not a "tick list" of any sort. 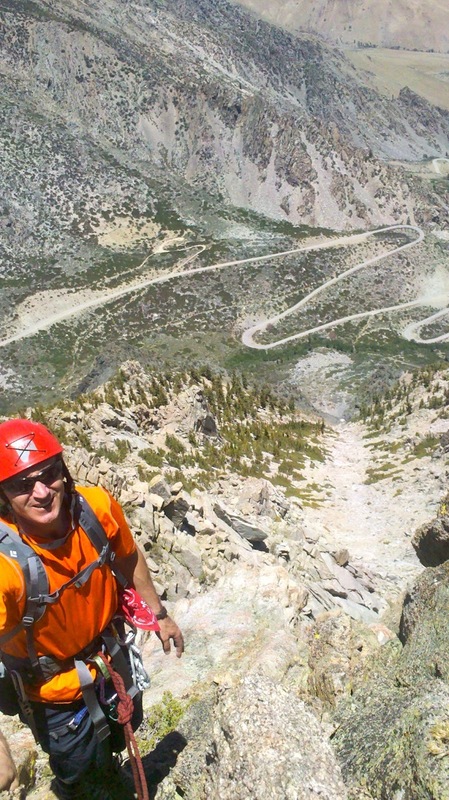 Rather, it is a set of options for reasonable day-trips to our high alpine. The High Sierra is best known for its backcountry climbing, camping and hiking. That being said, it isn't always desirable or reasonable to head deep into the mountains. Motivation, available time, and conditions often conspire against the overnight trips. Additionally, there is something ultimately civilized about sleeping in a proper bed between high alpine adventures. Perhaps you live here, or maybe you are visiting. Either way, consider some of the day-length adventures you might choose from. The unifying theme of these outings is that each is best done as a day-trip. That may mean that the route is too short to bother camping for, or it may mean that camping would only make it more complicated overall. Certainly, there are many other routes deep in the peaks that make excellent day trips for the fit and acclimated. Also, each route listed here is worthy. I have done all but those written in red. Those few climbs come with reliable recommendations. Most are rock climbs, some are snow, and some are ice depending on conditions. You will notice that ratings given are purely for the technical grade. No "commitment" grade or time estimate is given. Instead, in a move potentially both useful and contentious, these routes are ranked roughly from easiest to hardest. If you are comfortable with the technical crux of each route, whatever it may be, you'll find a day out on a route from the top of the list requires less energy and time than a route lower down.